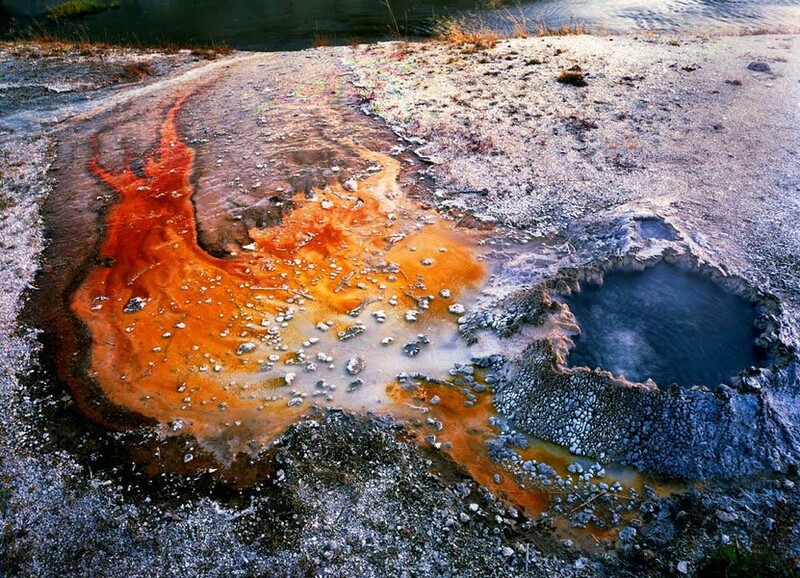 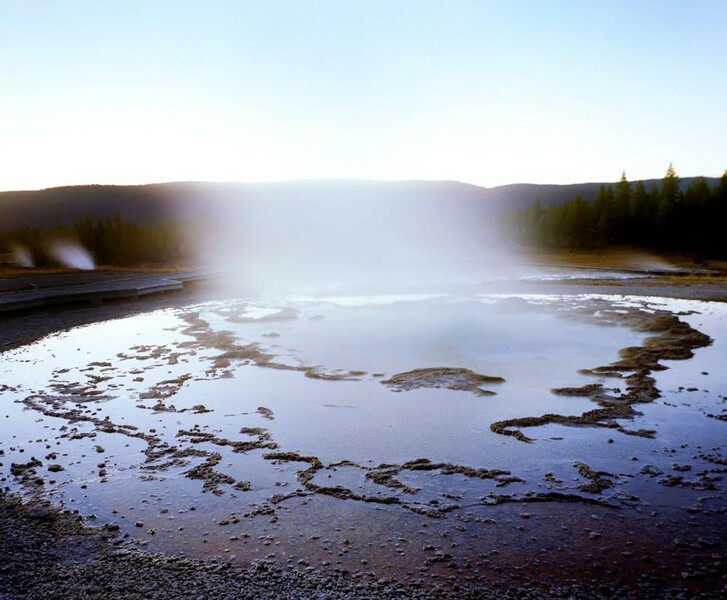 These are large format photographs of Geothermal Features and Geysers at taken Yellowstone. 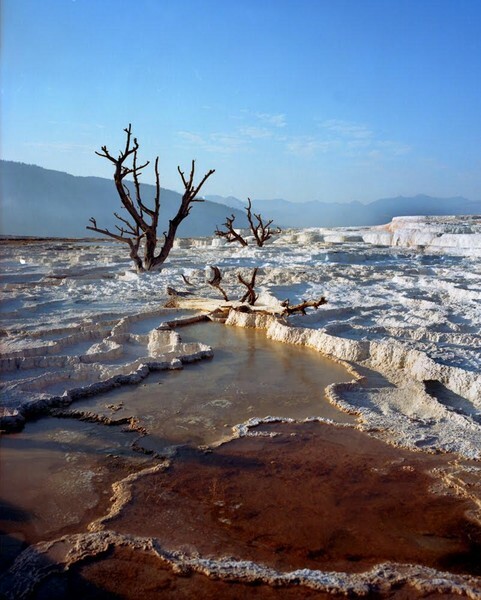 I seek out oddities in the land to connect with magical transformations of life and phases of regeneration and renewal. 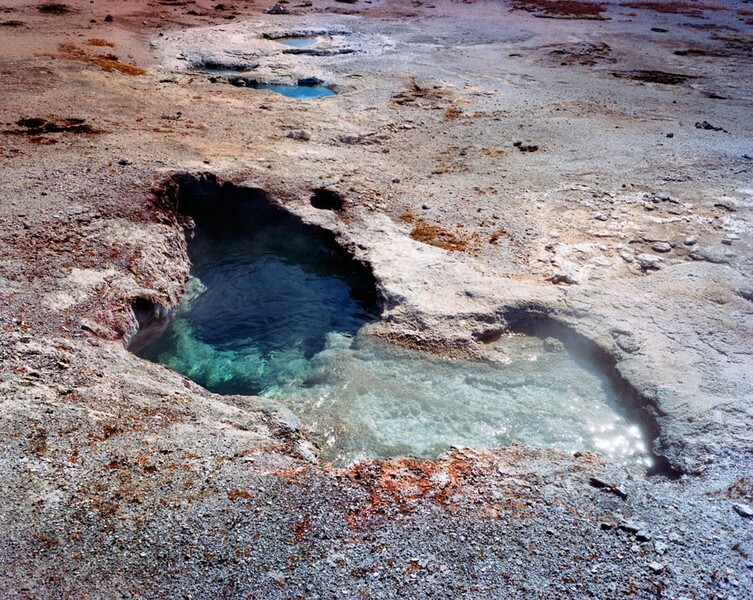 “Natural Phenomenon” are meditative photographs of geysers, dead hot springs in Yellowstone, geological parks and unusual algae blooms on the Coastline of California. 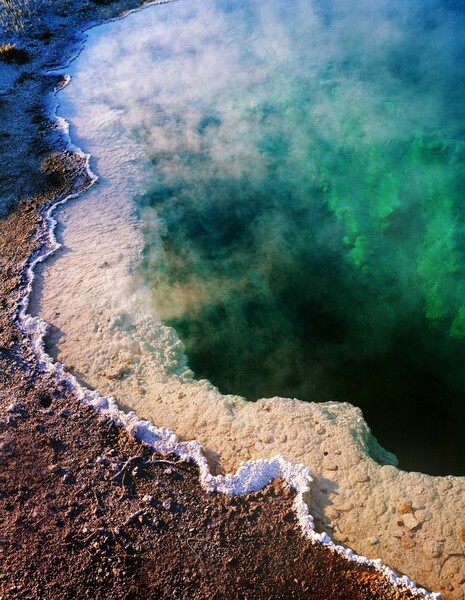 The geysers are geothermal features that exist on top of an incomprehensibly large Supervolcano and by researching these mysterious cauldrons and unique minerals, Ecologists and humans can better understand life on Earth and other planets. 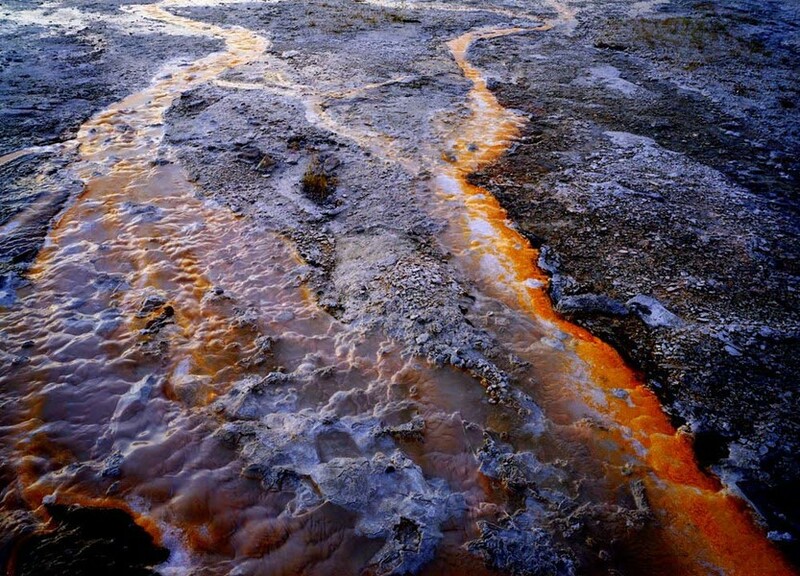 My photographs examine the abstract qualities and the delicate violence of these scalding caverns reaching beyond the Earth’s crust and the colorful bacteria mat, known as Magma Phenomenon.